By Andrea Koczela. Apr 13, 2018. 9:00 AM. What does it mean to win a Nobel Prize in Literature? Some of the past winners have explained it better than we ever could. For example, Seamus Heaney declared, "I've said it before about the Nobel Prize: it's like being struck by a more or less benign avalanche. It was unexpected, unlooked for, and extraordinary." Doris Lessing, for her part, said, "As soon as I got the Nobel Prize, my back collapsed and I was in the hospital." Mario Vargas Llosa reminds us of the notoriety that comes with the title of Nobel laureate: "The Nobel prize is a fairy tale for a week and a nightmare for a year. You can't imagine the pressure to give interviews, to go to book fairs." 1. 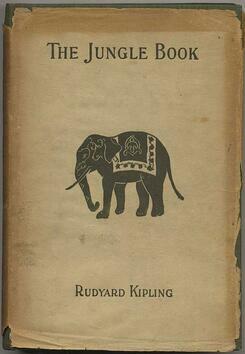 The youngest Nobel laureate in Literature was Rudyard Kipling, who was only 42 years old when he earned the prize in 1907. 2. Doris Lessing was the oldest winner: she was 88 years old when she won the prize. 4. The first woman to win the Nobel Prize in Literature was Selma Lagerlöf in 1909. She was later nominated to the Swedish Academy to select other Nobel Prize winners. 5. Only two people have ever declined the award. Boris Pasternak accepted the prize in 1958, but the authorities of his country (the Soviet Union) later forced him to reject the prize. Jean Paul Sartre declined it in 1964 because he refused all official recognition. 6. The prize has been awarded posthumously twice: first to Erik Axel Karlfeldt in 1931, and to Dag Hammarskjöld in 1961. In 1974, however, the Nobel Foundation stipulated that prizes not be awarded posthumously unless the winner dies after being selected.